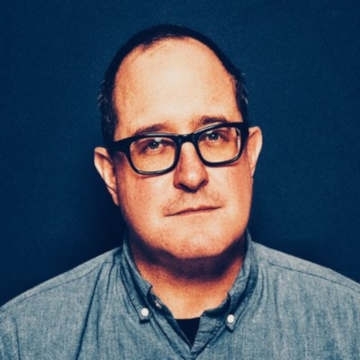 Craig Finn is best known as the singer of the Hold Steady, Craig Finn is a Minnesota-bred singer, songwriter, and guitarist based out of New York City. Combining literary influences like Jack Kerouac and John Berryman with the musical influences of Bruce Springsteen and fellow Minnesotan Paul Westerberg, Finn's highly descriptive lyrical style has a focus on narrative, crafting whole worlds for the people in his songs to exist within. After five albums with the band, the singer and songwriter tried his hand at a solo album during some downtime from his main project, and in 2012 released Clear Heart Full Eyes through Vagrant Records. In 2015, Finn dropped his second solo album; Faith in the Future, released by Partisan Records, was drawn from a set of songs inspired by themes of loss and survival that Finn wrote in the wake of his mother's death. His third record appeared in March 2017. Craig Finn’s eagerly awaited new album, I Need A New War, arriving Friday, April 26 2019. The third album in a trilogy.